Haiyan – A beautiful word, an exclamation full of longing, a lyric ripe with meaning. Taiwan, an island country, has a vitality which comes from the influx of many different peoples whose vibrant cultures have come together. We’ve heard that the aborigines who first arrived on the island from across the seas, continue to sing their songs with voices that fill the valleys and transverse the waters, withstanding two subsequent waves of immigration. We’ve also heard the music of the Chinese who arrived from across the straits, with voices that transverse the planes—bringing music that represents the vitality of the earth. Their voices speak of the land—of the beautiful rice seedlings and expansive mountain ranges. Our warriors sing hunting songs in the mountains. The women of our tribe have already constructed a victory arch, and are waiting to put flowers garlands on the warrior’s heads. We will forever have rice, laughter and the sounds of our folk songs. 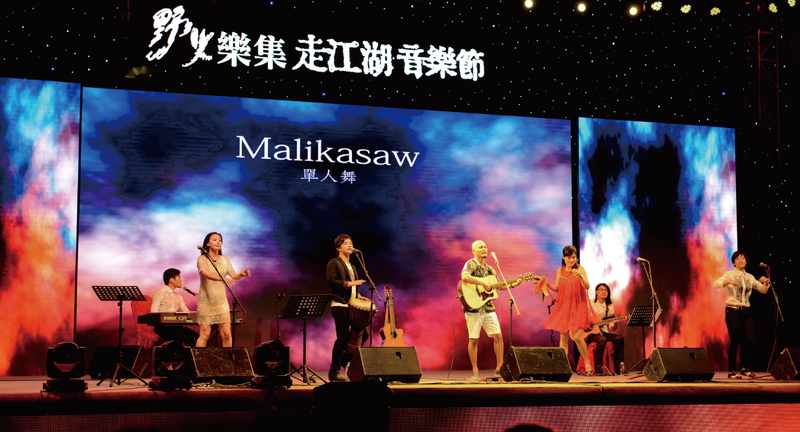 The music of Taiwan’s aborigines is an important starting point in the realm of World Music. In fact, there are already large numbers of people on the world music stage who are raving about these forms of music from Taiwan. The purpose of the Wild Fire Concert Series was to create a true form of World Music that is uniquely Taiwanese. Through the music that they have created, Taiwan’s aborigines can realize their own cultural ideals. Together they sing the songs, thereby planting new seeds which grow into plants that spread even more seeds. Through this process, the entire world can hear the music and voices of Taiwan’s aborigines. Born with passion for art, Yonlon is a gifted singer whose voice comes from this soul. He started his artist career as a U-Theatre member in the year of 20. 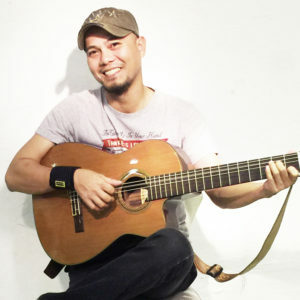 Ever since then, he has participated in many major performances, performing with many well-known musicians and dedicating himself to the traditional indigenous music in Taiwan. During the first decade of being a singer, Yonlon has gained a firm foundation of personal style and stage charisma. Later on, through the success of a series of albums, his voice became famous among the music lovers in Taiwan and China, for it can always bring the listeners back to their sweet hometown. Yonlon’s first personal album “Come Rain or Shine” is a tribute to the works of Li Tai-Hsiang, a master of Mandarin music. The album, released in 2010, was a great success and won him the Best New Male Artist award of the 2011 Chinese Music Awards, China. 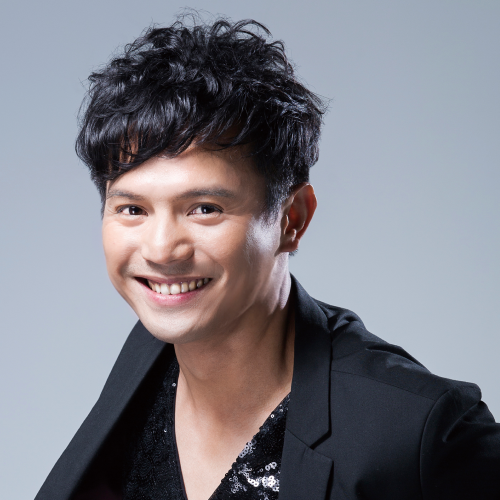 His 2012 album “Coastline” got 3 nominees of the 2013 Golden Melody Award in Taiwan (the Best Lyricist, the Best Composer, and the Best Song of the Year) and won the Best Song of the Year of the Chinese Music Awards, China. The 2015 album “Grain of Sand” also won several major awards in Asia. Born in 1980’s, Li Teyun found enlightenment in her parent’s favorite songs: Taiwan campus folk songs and English folk songs of 1960’s and 70’s, which are the basis of the singer-songwriter’s music. Her music shows high respect to the classic folk songs, and she goes her own way as a confident artist with a comfortable self. 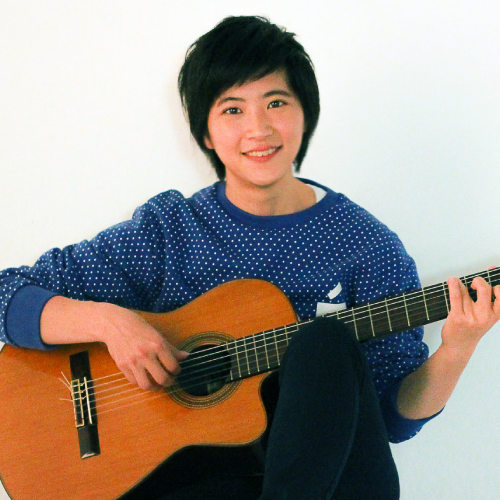 She has a warm, mellow voice that matches her classical guitar perfectly. The songs she wrote are compact and graceful, just like a flow of fresh warm water that brings people comfort and serenity. In the end of 2015, she released her first personal album, View on Life Vol. 1. The album has gained much applause and has won several awards and honors in Asia. When studying in college, Tipus joined the Formosa Aboriginal Singing and Dance Troupe as a singer, learning many songs of the indigenous people in Taiwan and participating in performances in art festivals at home and abroad. Furthermore, she went deep into her maternal tribe to collect indigenous songs, through which she retrieved the connection between her homeland and herself. The songs are mainly about the tribal life that Tipus have never experienced before; however, she believes they can always bring her near to the ancestors’ blessings and the tribal elders’ exhortations. Tipus was an anchor of the Indigenous News in the Taiwan Public Television Service. After taking advanced study in Hawaii for years, she was invited to perform in many of the Beautiful Haiyan concerts, impressing the audience at home and abroad with her clear, tender voice. Dalors grew up in Lalaulang, a seaside tribe at the foot of Taimali Mountain, where he started to play the guitar since his childhood. He simply loves singing and therefore spent many years performing regularly in live music restaurants. After military service, Dalors became a skin diving instructor. While looking at the sea, he often came up with melodies, so he began to write songs. Now, in daily lives, he is a postman working on the Northern coast of Taiwan. “My mind is often occupied by all those house numbers. Only by playing guitar and singing can I temporarily forget the house numbers,” He said. Dalors was born with a great voice. He was a band vocalist, has won the third place in a talent show, and also has participated in many music contests and theatrical performances. As an Amis from the Tafalong Tribe, Linnga was born and grew up in the city before going back to the tribe for the traditional culture. Through the voices, she discovered the grooving in her blood and learned her own culture and songs. She has been the principal singer/dancer in some famous performance groups in Taiwan. Growing in an artistic environment, Linnga sings her own songs with a delicate voice of soprano. In her music one can hear an abiding concern for the land, a broad perspective of humanities, and also the simple texture of the artist’s soul. In 1992, She joined the Formosa Aboriginal Singing and Dance Troupe, thereafter participating in oversea tours and international art festivals all around the world. 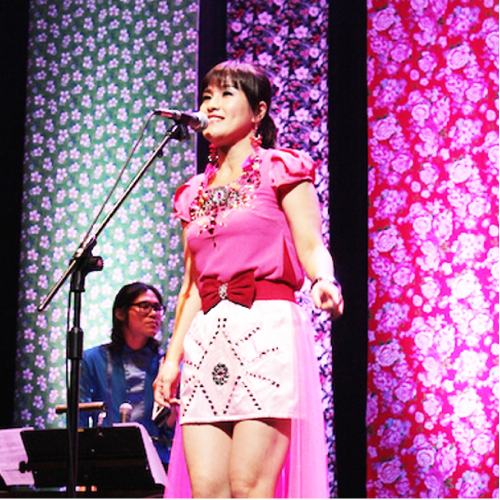 In 2009, she gave performance in the “Beautiful Haiyan” Concert and also participated in several music albums.